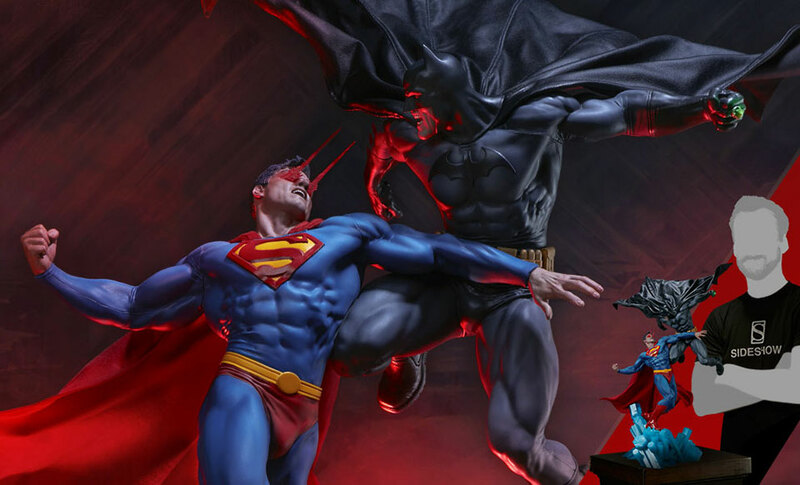 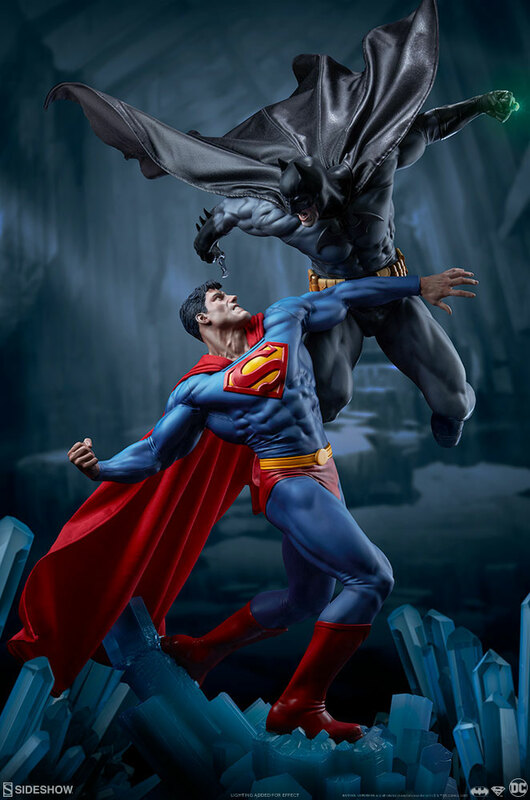 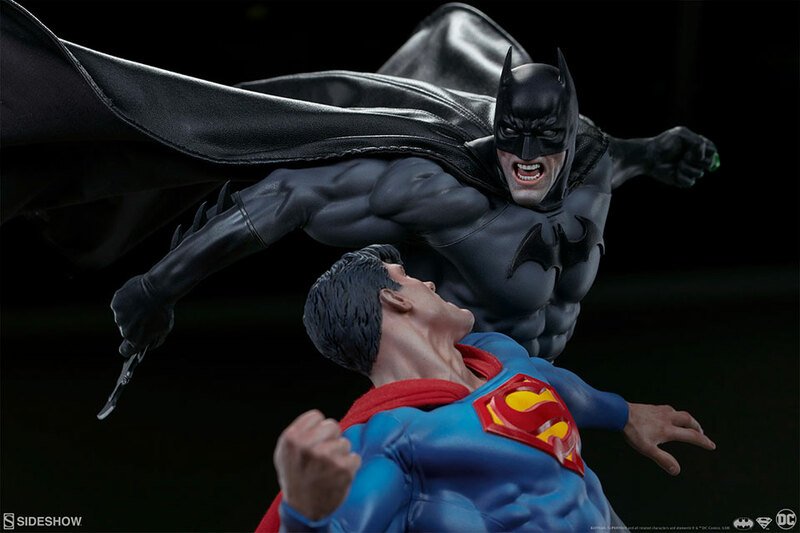 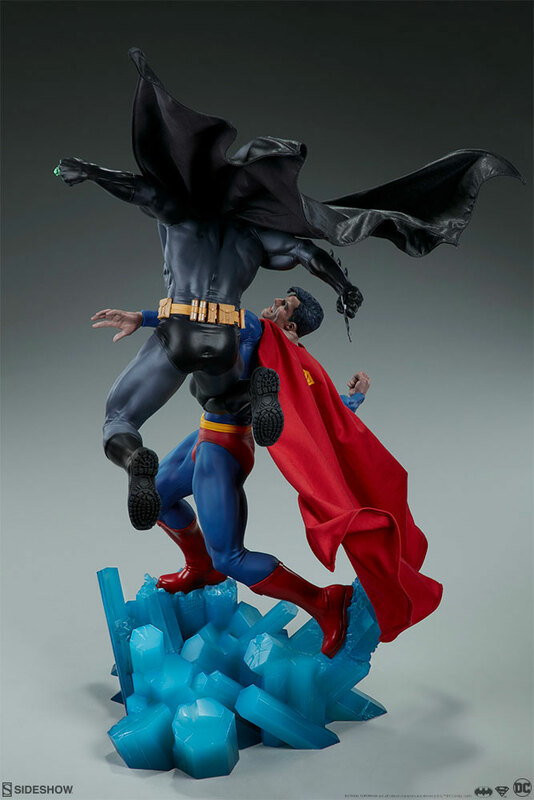 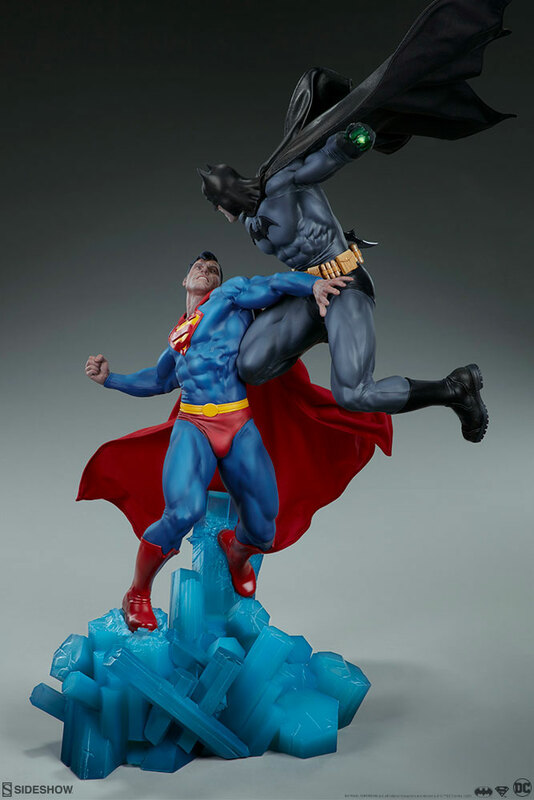 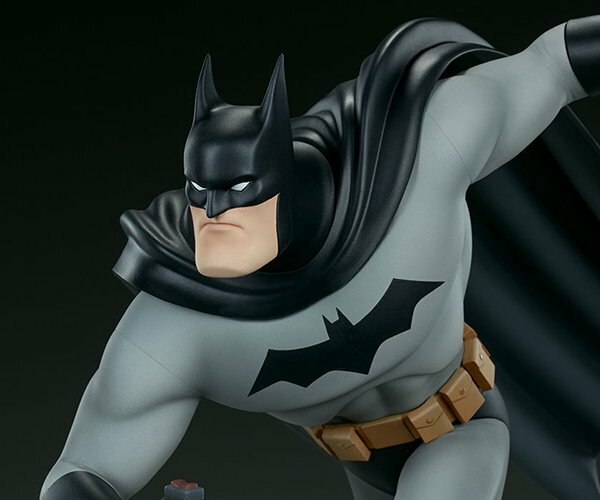 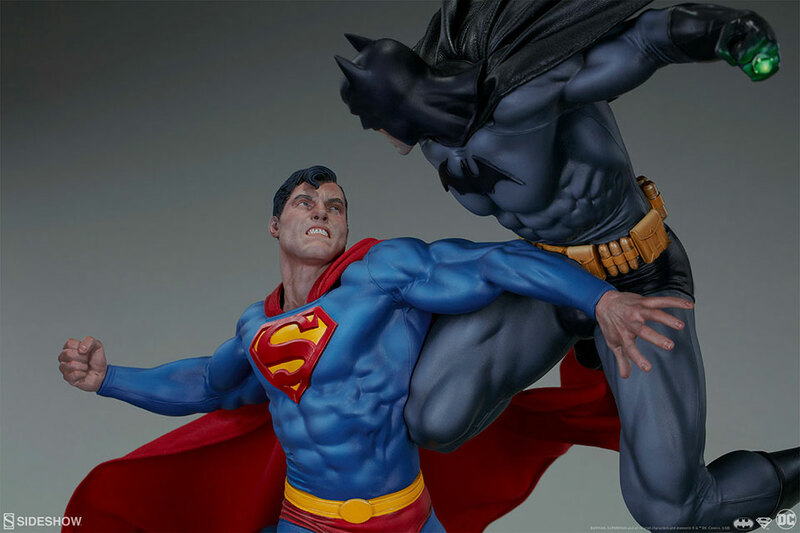 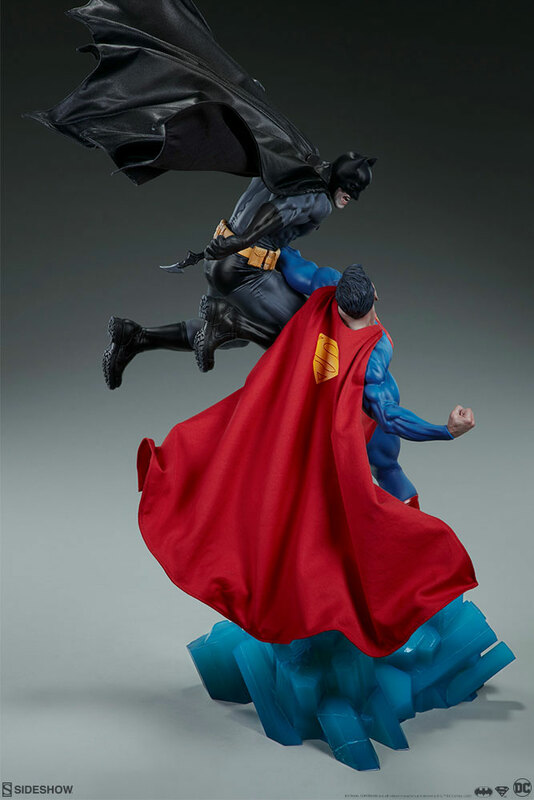 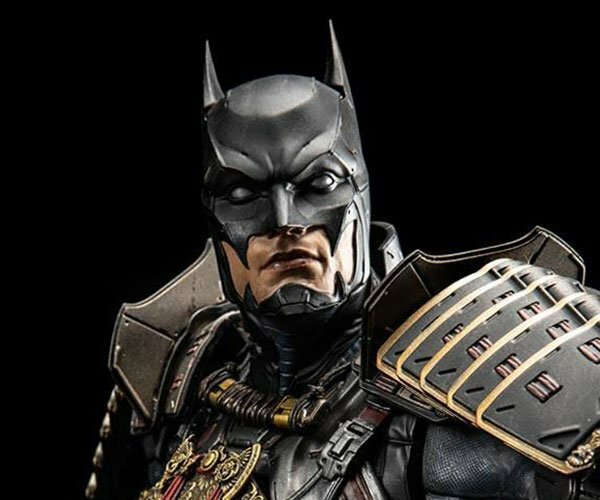 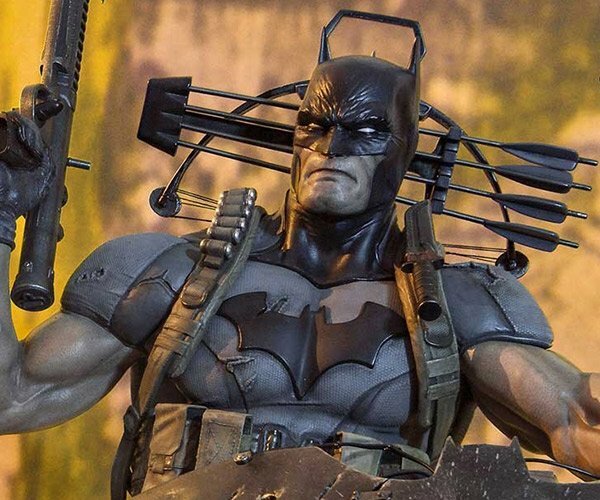 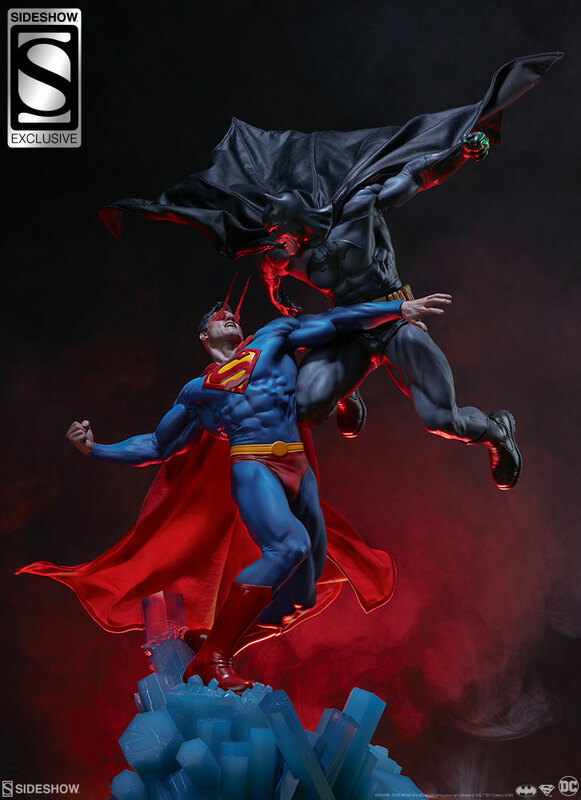 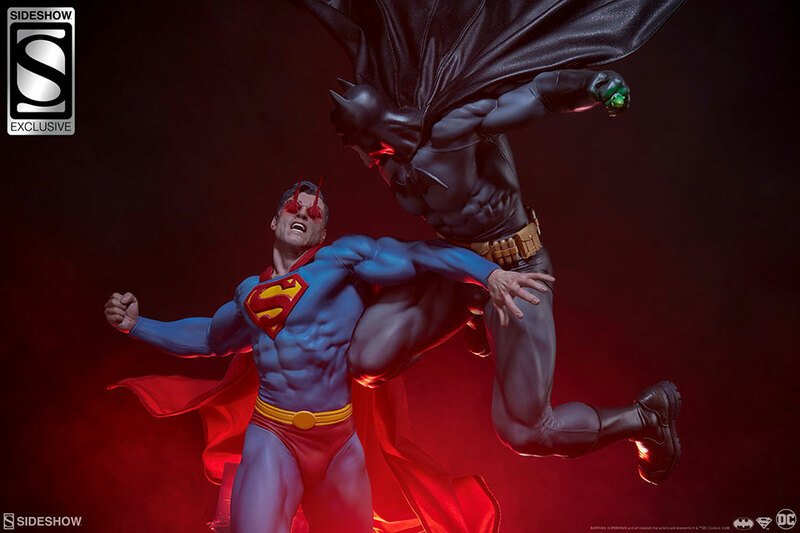 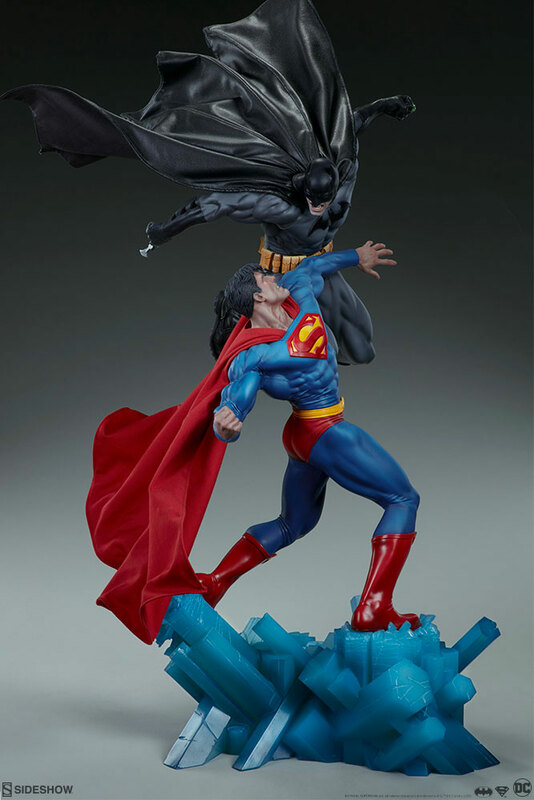 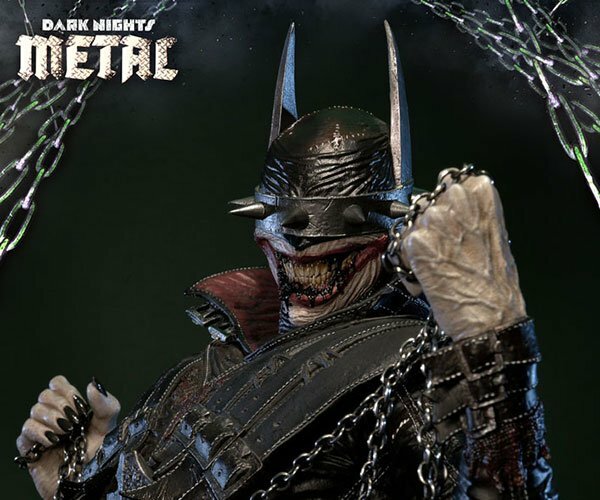 Sideshow Collectibles‘ statue depicts Batman duking it out with Superman. 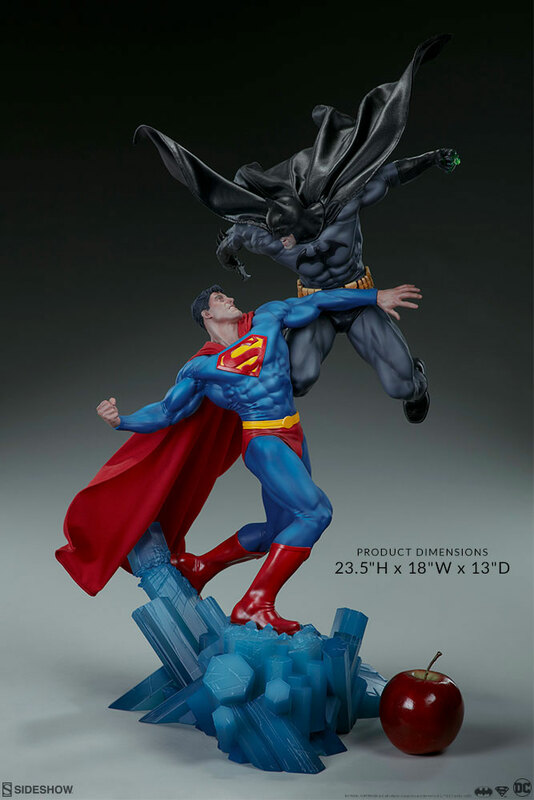 Bats is armed with a Batarang and a kryptonite ring, while Supes has an interchangeable head that shows him firing off his heat vision. 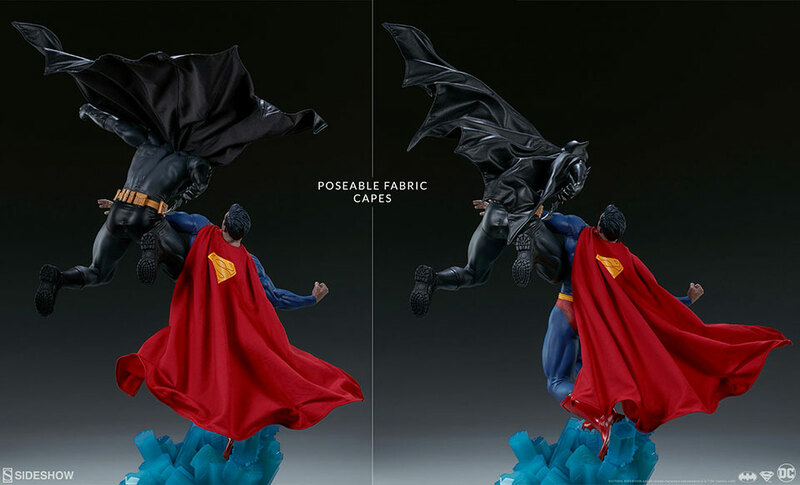 Their capes are made of fabric and are poseable.